How Far is Darshan Brindaavanam? Darshan foundation has launched yet another project in Trichy. Darshan Brindaavanam is located in Thillai Nagar and is in close proximity to 80-Feet Road, Makkal Mandram. 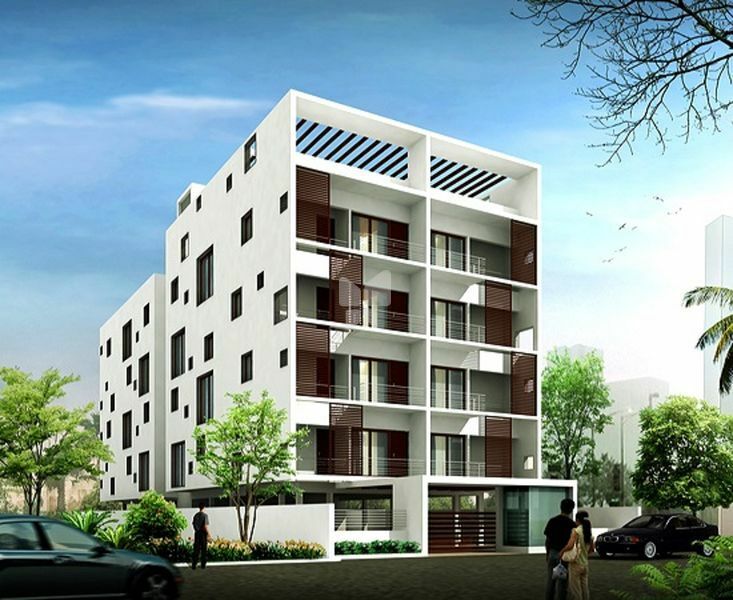 These apartments in Trichy have the most modern amenities like Intercom, Security, Backup. Darshan Brindaavanam offers 2 & 3BHK houses. RCC framed structure with brick/concrete block masonry walls plastered smooth & cement painted. 2'x2'Joint Free Flooring at Rs.40/-per sq.ft as basic price. Teakwood frame with teak finish flush door for main door and country wood frames with commercial flush shutter for inner doors. UPVC Windows with Glazed Shutters. Granite platform with carysil sink or equivalent. Up to a height of 7 feet in toilets and 2 feet above kitchen platform. In bedrooms with open masonry,without shelves. GI/PVC water lines & PVC waste water and soil lines.Common water sump & common open/bore well.Single overhead tank. Three phase connection with concealed PVC conduit.Wiring with necessary service points.PVC conduits for TV antenna and telephone. Darshan Foundation, which started in 2011, is a leading property developer in South India. Darshan Foundation projects are exemplified in not only meeting, but also exceeding quality and safety standards. By giving customers an ample range of quality projects that suit every budget, Dharshan strives to continually enhance performance to reach customer expectations on faith and promise, all with the aim to become the yardstick for the construction industry.